Minecraft Creative Maps | Surviving Minecraft, Minecraft Adventures! Minecraft Aristocracy? Download this Minecraft Mansion. A little bit Louis XVI, a little bit Jack Nicholson in The Shining, this minecraft mansion can be something glorious or terrifing, depending on what you want it to be. 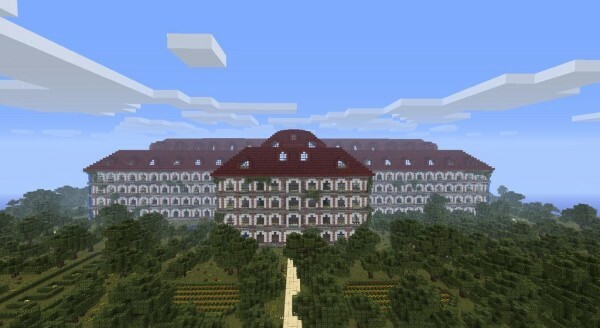 With over eleven stories, many of which are hidden below ground, extensive gardens, mausoleums, gazebos and more rooms than you can shake a stick at (assuming your room shaking stick is limited to ninety nine rooms) this massive minecraft mansion is a must download! Check out the minecraft mansion and download! This entry was posted in Minecraft Creative Maps and tagged minecraft mansion map on March 21, 2013 by Hope.